Soil, plants, and animal species have been coevolving for millions of years. Soil contains fungi, micro-algae, protozoa, nematodes, invertebrates, actinomycetes (bacteria that grow in filaments), nitrogen-fixing bacteria—even the healthy bacteria that reside in our guts. This respect for, and desire to work with, natural complexity is rooted in the organic community’s embrace of a systems approach to farming. Organic agriculture rejects the reductionism of conventional systems that has led to monoculture, synthetic fertilizers, pesticides, and genetic modification to the detriment of our land, water, ecosystems and health. This same reductionism has driven hydroponics. Most industrial "organic" hydroponic operations reduce their nutrient requirements to those which can be obtained from hydrolyzed, conventional soybeans. Hydrolyzed soy, fed continuously through an irrigation system into containers filled with coconut husk (coir), is the primary source of fertility used to produce crops of "organic" hydroponic tomatoes, cucumbers and peppers. 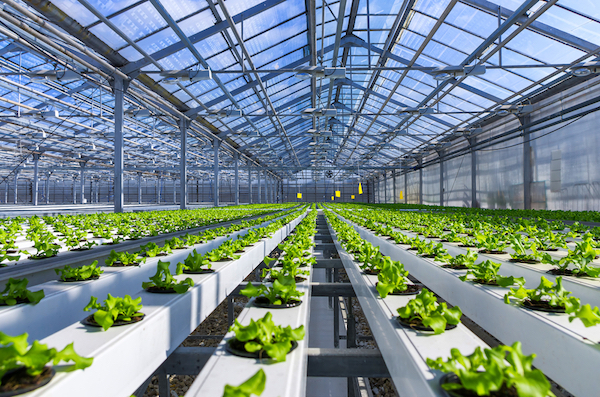 With their vast greenhouses full of plastic containers and tubing, industrial hydroponic systems do nothing to improve the land. How can a system completely removed from land stewardship, gleaning fertility primarily from conventional, likely GMO, soy production, be considered "organic?" 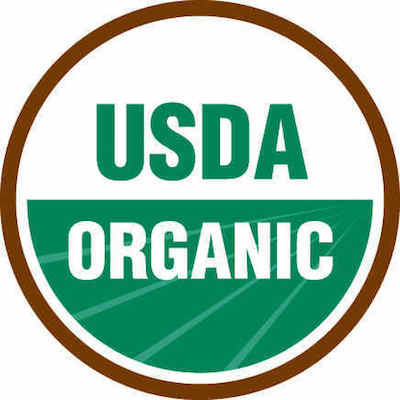 The USDA Organic Seal was developed so that a market premium could go to farmers who incurred additional production costs for adhering to higher standards. The organic standards incorporate environmental and human health, animal welfare and sustainability. The Organic Foods Production Act (OFPA) includes a firm requirement for soil in organic systems because the founders recognized soil’s central role in nutrient cycling and sustainable land management. Clearly hydroponic container systems are not compliant with the law, and they are contrary to the spirit of organic as well. These systems do not increase organic matter in the soil, nor do they foster soil fertility, cycle nutrients or capture carbon. However, some organic certifiers and the National Organic Program (NOP) are allowing these hydroponic container systems to be labeled "organic"—pushing true organic producers who adhere to the law out of business, because caring for our land is more costly than simply producing food without it. Meanwhile, certifiers adhering to the letter of the law and upholding the spirit of organics, such as OneCert, Vermont Organic Farmers, and Ohio Ecological Food and Farming Assoc., are losing business as a result. Why would a certifier choose to lose revenue by refusing to certify a hydroponic container operation if the NOP would let them get away with it? The short answer: Because it’s the right thing to do. There will always be people who make decisions based on profit, while others reject this temptation because of their commitment to operate ethically. The good food movement has continued to experience the co-opting of its language by inauthentic use of the words “local,” “family farm,” “farmstead,” “artisan” and even “CSA” (short for community supported agriculture). But this is progress for the sake of progress. Organic enforcement must be strong on the requirements for biodiversity, land stewardship, nutrient cycling, and increasing organic matter in the soil if it is to continue to distinguish itself from conventional farming. While other production systems certainly have their merits, not all of them should be called organic. Every season, organic farmers add amendments/organic inputs. Every hydro cycle, organic hydro farmers do the same. Some systems may increase fertility of a soil or multiple soils. Others may produce just great healthy food with a high yield, while adding only minimal organic waste to be amended or fermented. I have seen organic farmers produce higher yields in soil systems than any other type. If you arent yielding high then you have issues in one or more areas AKA not doing it correctly. Oxygen is usually a limiting factor. Organic soil fertility is often increased in one area at the expense of another, ie organic fertilizer mining. Some sources of organics have been found to contain high percentages of lead, arsenic, and other dangerous elements. Know your source. I'd advocate for another classification before trying to readjust the organic certifications, it would be called biodynamic. These are the farmers who deserve top dollar. How much mining is acceptable? What if an organic hydro farm used no mined products and yet improved somebody's soil?